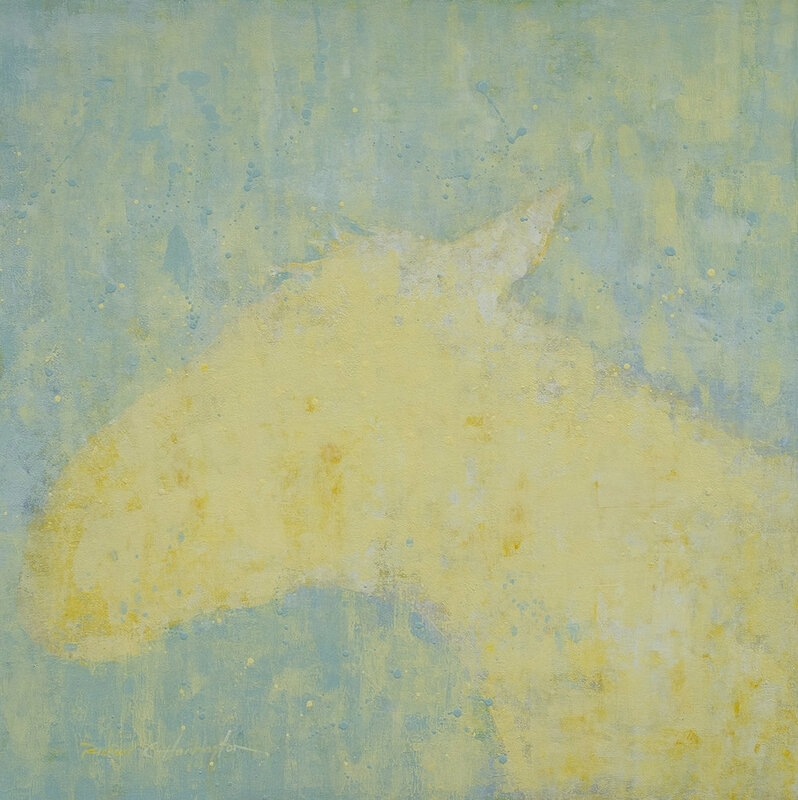 Appaloosa, 48x 66, acrylic, oil and gold leaf on panel. Available through artist. I’ve loved animals since I was a child, following Marlin Perkins and Jim around the world, the Craighead brothers tracking grizzlies through Yellowstone. 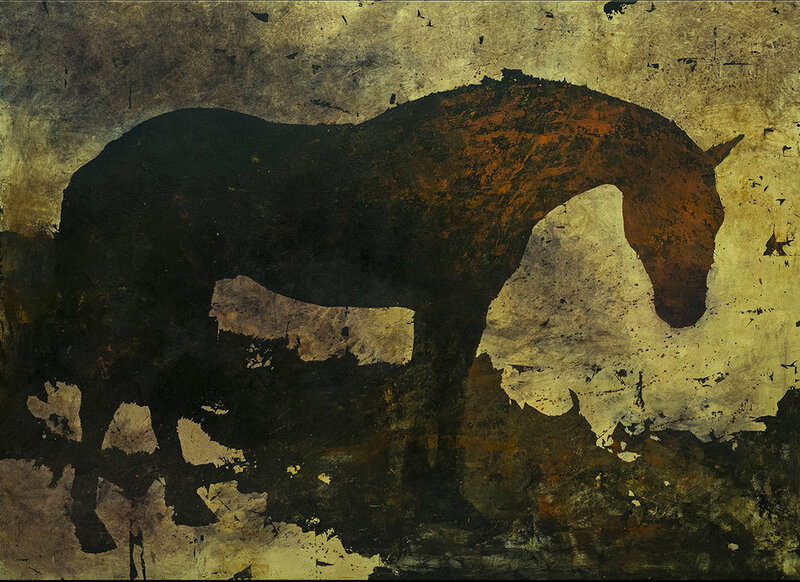 For years, my studio was on a friend’s horse farm, surrounded by over one hundred horses. I spend more time with my dogs than I do people. But these paintings aren’t about any of that. They are about the animals that have wandered through my dreams, asleep and waking, ever since I can remember. 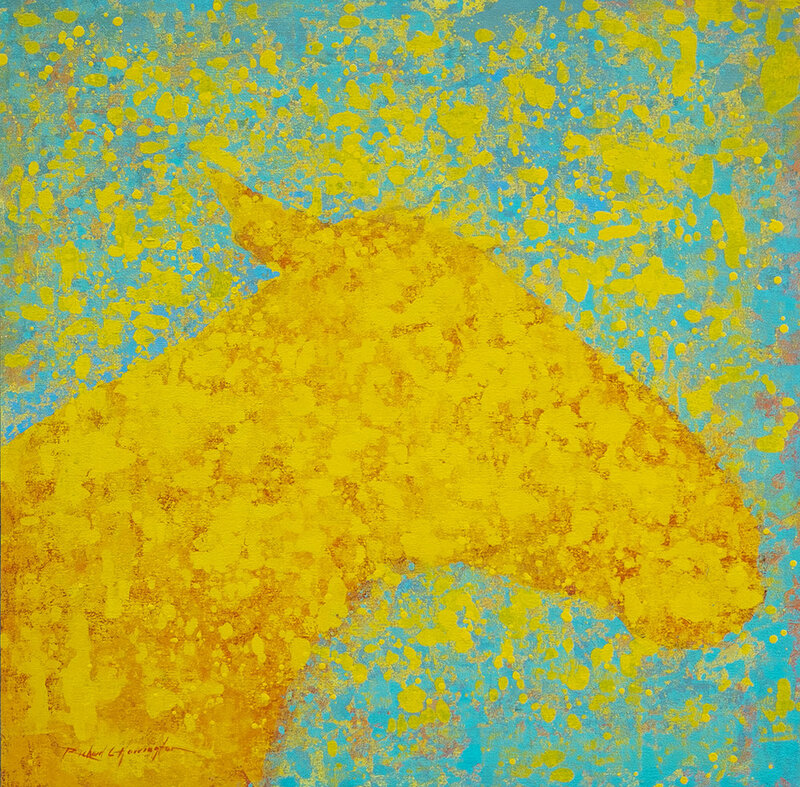 Yellow Dapple, 34 x 34, acrylic on panel. Available through artist. Buffalo, 36 x 48, acrylic on panel. Available through artist. Grizzly at Dusk, 36 x 48, acrylic on panel. Available through artist. Red Horse, 48 x 66, acrylic on panel. Available through artist. Clint, 30 x 40, acrylic on panel. Available through artist. Red, 30 x 30, acrylic on panel. Available through artist. Yellow, 30 x 30, acrylic on panel. Available through artist. Pale Horse, 48 x 66, acrylic on panel. Private Collection.